Samuel Free (pictured on the left) was born at Mount Hesse on 29 May 1861, the fourth son of William and Eliza Free (nee Flavell). He was at Mount Hesse for only a year before moving with his parents and siblings to Teesdale, then to Mt Cole, Raglan and, in around 1880, to Corack in the Wimmera district of Victoria. At Corack Samuel worked on his father's farm as well as on a second block of land, some 187 acres in size, which he bought from his mother, Eliza. He also sought, unsuccessfully, to lease a number of other parcels of land in the district. In June 1884 the Donald Express reported that Samuel had an application to lease a 320-acre block of land at Corack East refused by the local land board (the board approved a separate application by Samuel's younger brother James). On 21 December 1888 Samuel and James, both described by the paper as single farmers, were said to be unsuccessful in their applications to take over two forfeited blocks of land at Corack East. The newspaper added that Samuel was then living with his father. On 9 August 1889 Samuel had a further application for land in the district disallowed. We might wonder whether his mounting frustration over failing to obtain more land contributed to his decision, made in 1898, to leave Corack and go to Lalbert. In 1891 Samuel and James Free married respectively Fanny Johanna and Johanna Shepherd in a double wedding held at the house of the sisters' parents at St Arnaud. Fanny's birth certificate states she was born on the Rich Avon Station at St. Arnaud on 3 December 1864. Her sister Joanna was born two years later at Banyenong Station. The girls' father was John Shepherd and their mother Johanna Mulcahy who were married at Cope Cope in 1862. John Shepherd came from Buckfastleigh in Devon in England. Located on the edge of the Dartmoor Forest, Buckfastleigh was a relatively large town for the times - its population in 1841 was 2576 - and was noted for the manufacture of woollen and serge blankets. John's parents, Edward Shepherd and Frances ('Fanny') Chaffe, and their six children had emigrated to Australia on the STEABONHEATH in 1853. Johanna Mulchay came from County Galway in Ireland. Her parents were said to be James Mulchay and Johanna Daly. After their marriage, Samuel and Fanny lived on Sam's block of land at Corack East where they had their first five children: Frances Alice Free (1892-1979), Samuel John Free (1893-1918), Albert Ernest Free (1894-1917), Ann Grace Free (1896-1983) and Edward Charles Free (1896-1971). During this time Samuel and his brothers not only worked their farms, they also contributed in various ways to the life of the local community. A report in the Donald Express dated 6 August 1889, indicates that both James and Samuel were among the office bearers elected at the annual meeting of the Corack branch of the Victorian Farmers and Pastoralists' Association. The same paper noted in 1896 that Samuel and the Bookham Bros from Corack East wrote to the St Arnaud Shire Council requesting payment of £7 for repairing the district's windmill pump. 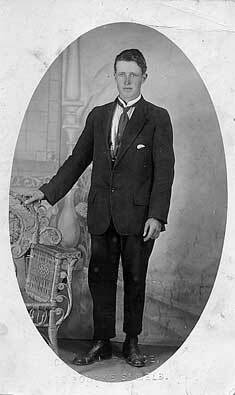 James meanwhile was serving as a racing steward and trustee of the Corack Mechanics Institute. In around 1898 Samuel and James and their brother, William Free, sold their farms at Corack East and relocated northwards to the district of Lalbert. Named by Major Mitchell during his trek through the area in 1836, the name Lalbert (or L'Albert as it was originally spelt) is thought to derive from the aboriginal word for the creeper that grew on the mallee trees at the time. The first white people to live in the district were the brothers Jabez and Thomas Ham, the engraver and lithographer, who came to Australia from Devonshire in 1842 and lived initially in Melbourne where their father, John Ham, was the first minister of the Collins Street Baptist Church. In 1846 the Ham brothers took out a lease for a pastoral run they named Lalbert in the Wimmera district of Victoria. A notice in the Port Phillip Government Gazette, published in the Melbourne Argus on 18 July 1848, indicates their run was 76,800 acres in size and had an estimated grazing capacity of 12,000 sheep. By 1850 the original property had been subdivided into three separate pastoral properties: the Lalbert, Titybong and Towaninnie runs (the last owned by the Finlays who hailed from County Derry in Ireland). Even with this changeover of land ownership, the number of Europeans living in the area remained small. The 1865 gazetteer reported only 40 white people in the district at the time, all of whom were employed on the sheep stations. The land around Lalbert, moreover, was said to be 'fit for nothing except sheep grazing for which purpose the entire available land is taken up'. 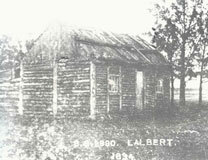 By the time of the Frees arrival in around 1898, the area around Lalbert was widely settled, the local township was established and growing, and primary schools were operating at Lalbert and Towininnie. The first of these (pictured on the left) included on its books a number of children from the Smith and Hickmott families. The latter were the children of Henry Edward Hickmott, the younger brother of Rebecca Smith (nee Hickmott). Henry and his wife Elizabeth Ann Owen and their family had moved to Lalbert from Charlton East a few years earlier. They lived initially on Joseph Smith's 186-acre block of land (allotment 47B) that spread eastward from the edge of the township, before taking up an adjoining block to Joseph's. Their son, William Henry Hickmott, would later marry Samuel and Fanny Free's eldest daughter, Frances Alice Free. The Frees settled in the Talgitcha area further to the east of Lalbert. Together with a number of other farmers from the area, they wrote to the Victorian Department of Education asking it to establish a school to support the thirty-five children who by then were living there. 'In our beautiful land', the letter entreated, 'there are children within two miles of the site...who are thirteen years of age and are only in the first class...They have to drive nine miles to the present school [at Towaninnie] which takes a horse and trap which their parents are not able to afford'. Are we, the letter concluded, 'going to allow those children to grow up in such ignorance...will they not [later] hold the Education Department responsible' for their plight?' Asked to investigate the matter, the regional inspector of schools reported that 'the parents have suffered during the past bad seasons. They express their willingness to cart and re-erect an unused building if one can be sent to Quambatook railway station but they cannot afford to erect a building themselves. If there is a suitable small building vacant I recommend that their offer be accepted' (cited in Power and Power, 1983: 297-300). It was, and an unlined wooden building, measuring 30 feet by fifteen feet by ten feet was supplied and erected the following year on land made available by William Hosking. The Talgitcha Primary School (No 3347) was officially opened on 21 November 1899 with its teacher, John Grant, in charge. It had in its inaugural class no less than twelve Free children who still had to walk between two and three miles to get to school. By 1907 the small schoolhouse had been lined, a fireplace added and sundry teaching aids acquired. These included: a teacher's desk and stool, five children's desks and two forms, 20 inkwells, three maps (of Victoria, Australia and the World) and a number of readers and instruction manuals. The reading material was itself instructive, comprising in addition to the normal books of tables and readers in English and arithmetic, Broadribb's Manual of Health and Temperance, Balfour Stewart's Physics Primer, Parke's Personal Care of Health, Blackies' Animal Physiology and, to provide perhaps a better appreciation of the multicoloured map of the world, an imperial history and pamphlettes on infantry and military drill (Power and Power, 1983: 299). Arbor Day was celebrated at the Talgitcha School on Thursday when a number of trees, kindly supplied by the state nurseries, were planted by the children under the supervision of the Head Teacher, Mr A. M. Grant. A good many parents assembled during the afternoon and after the tree-planting games, including lawn tennis and football, were indulged in. About 4.30 a move was made to the school where a splendid repast awaited the children who, needless to say, did justice to the many good things provided. After they had been satisfied, the grown-up folks came forward, whilst the children enjoyed a little more amusement in the twilight. The children dispersed to their respective homes whilst the elderly folks prepared the hall for dancing, which was continued to the small hours of the morning. The head teacher is grateful to the following, who helped to make the gathering such a success - Mesdames W. J. Bennett, S. Free, J. Free and H. Nalder. Misses F. Free, S. Free, D. Free, R. Bennett and A. Free. Messrs W. Hickmott, S. Free, P. Bennett, A. Adler, T. Kent and J. Kent (Bendigo Advertiser, 21 June 1910). As well as providing students for the local schools, members of the Smith, Hickmott and Free families contributed to the various sporting and social clubs being established in the town. Most were also keen church-goers. While enjoying the growing social life of the town - Rebecca's son, Thomas Smith, was the first person in the district to own a motor car, a sporting red Talbot - they also worked hard at establishing and improving their farms. At the time this was no easy matter. The earlier years of abundance had been replaced by widespread droughts, plagues of rabbits and other pests, and an extended economic recession. The hard times were undoubtedly offset by such happier occasions as the marriage of Samuel and Fanny's children and the ensuing birth of much-loved grandchildren (who would help fill the district's schools with a fresh wave of pupils). On 29 June 1910 the couple's eldest daughter, Frances Alice Free (1892-1979), married William Henry Hickmott (1887-1976) in the dining room of her parent's home at Lalbert East. According to Win Noblet's The Hickmott Story, Frances and Bill (pictured below on the left) 'made a handsome couple. Frances looked beautiful in her dainty lace and taffeta frock with tiny pleats and rich lace edging. Her elaborate headdress and veil were held in place with orange blossom. After the ceremony Bill and Frances drove by horse and buggy to take up residence in their first home in the Talgitcha area of Lalbert'. A year later the young couple presented Samuel and Fanny with their first grandchild, Grace Francis Hickmott, who was born at Lalbert on 2 April 1911. In that same year Samuel had the photograph shown below taken of his family, the last in which they were all together at Lalbert. For the following year Frances and Bill and their two daughters, Grace and Gladys Elizabeth Hickmott, left Lalbert to take up land near Ouyen in the Mallee district. Click here to read more about William and Frances' subsequent life and times, and here for information about their family and descendants. Frances and William's wedding at Lalbert in 1910 and Frances and William with Frances' family at Lalbert in 1911. Rear Row (L/R): Samuel John, William Hickmott, Frances (holding Grace), Fanny Johanna and Edward Charles. 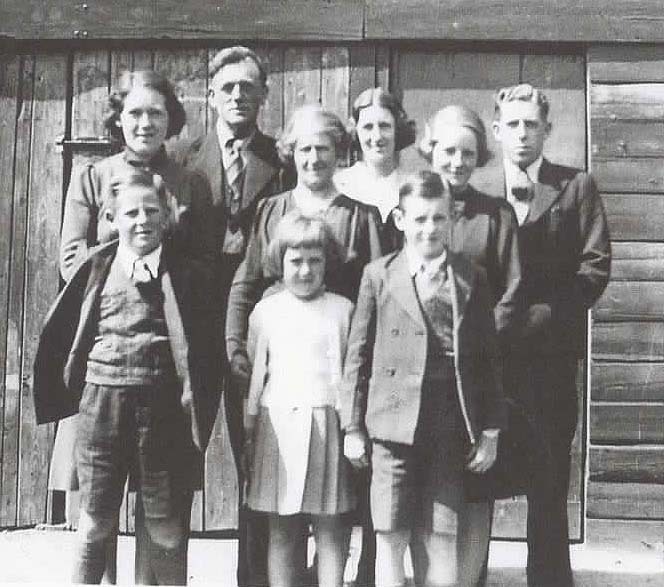 Front Row: Albert Ernest, Hilda Flavell, Samuel (holding Donald), Leslie, Ann Grace, Clifford and Mary Jean Free. 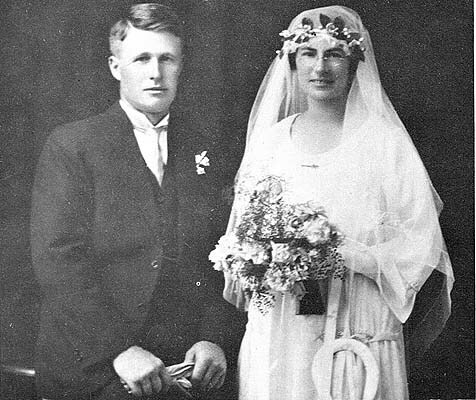 Six years after Frances' wedding her younger sister, Ann Grace Free (1896-1983), married John James ('Jack') Kent (1896-1968) at Quambatook on 16 March 1916. One of Jack's grandsons, Colin White, tells us that the Kent family originated from the village of Pewsey in Wiltshire in England. Jack's grandparents, George and Elizabeth Kent (nee Edwards) and their five children - Emma, John, Thomas, Mary Ann and George (who died, aged one year, during the voyage out) - emigrated to Australia on the CONFIANCE which sailed from Liverpool to Geelong in 1853. Following Elizabeth's death in Ballarat in 1878, George married Jane Steep there three years later. He died in 1902, aged 88 years, and is buried with his first wife Elizabeth and son Thomas in the Ballarat New Cemetery. Jack's father, Thomas William Kent (1846-1923), married Isabella McClay (1860-1940) at Granite Flat near Charlton in Victoria in 1877. They had 13 children between 1878 and 1897: Edith Annie, George Thomas, Mary Ann Elizabeth, Thomas William, John James, George Alfred Ernest, Emma Beatrice, Isabella Martin, Elsie Evelyn, Ada Lavinia, Albert Frederick Sydney and Priscilla Pearl Victoria Kent. Born at Granite Flat in 1886, Jack attended Fairfield's School (later named Lalbert Road School) near Lalbert - to where the family had moved in the 1890s - until he was 12 years old. According to his daughter, Phyllis White (nee Kent), he then worked on farms around the Meatian, Lalbert and Quambatook districts before marrying Annie Free at Quambatook in 1916. The couple bought a farm three miles out from the Meatian township but after Jack hurt his back lumping wheat in 1927, they were forced to sell the farm to a neighbour, George Leech. 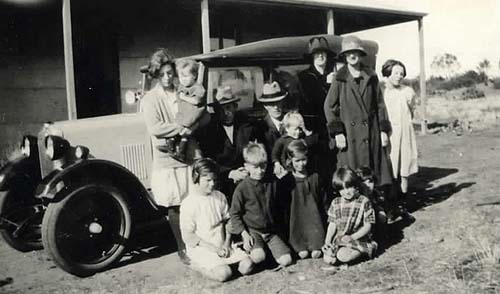 Phyllis continues that Jack bought a Rover car out of the proceeds 'and travelled to Ouyen to see the Hickmotts [shown in the photo above which was taken during a visit to Jack and Annie's farm shortly before they sold it] before going down to Ballarat where Jack's parents lived. They decided it was too cold to settle there so went on to Bendigo where Jack's sister (Ada) lived. They bought a house at 30 Wade Street in Golden Square. Jack worked at Jones hay and corn store for a while before becoming the green keeper at the Golden Square Bowling Club, a position he held until his retirement. He was also the caretaker of the local Methodist Church. Both he and Annie were keen bowls players, although Annie later switched to croquet at which she was very good, winning a lot of trophies and one year serving as the club's president'. Edith Annie Kent (1916-2008). Born at Ultima in Victoria, Edith married Robert Lindsay Birchmore (1914-2006), the son of Robert Henry and Rose Ellen Birchmore nee Lock, at Bendigo on 5 October 1940. The Australian electoral rolls show that Robert and Edith lived all their married lives at Just Point in Bendigo where Robert worked as a 'braceman'. The Bendigo Cemeteries Trust website shows that Robert died at Bendigo on 18 July 2006 and Edith there on 18 May 2008 and are buried together in the Bendigo Cemetery. Edith's death notice, published in the Melbourne Herald Sun on 25 May 2008, tells us she was the 'Much loved wife of Lindsay (dec). Adored mother and mother-in-law of Alan and Cheryle (dec), Robert and Robyn, Ros and Father Max Bowers. Treasured Nan to Damien, Adam, Kate, Jayne, Mark, Mathew, Pete and Anna. [And] Great Nan of 8'. Phyllis Jean Kent (1918-2013). Also born at Ultima, Phyllis married Leslie Norman White (1915-2003), Bendigo-born and son of Walter Bolitho White (1878-1962) and Ethel Mary Dower (1883-1942) who were married in Victoria in 1905. Les' siblings included: Doris Mabel, Clarence Irvine, Lawrence Walter and Vera May White. Some years ago, Phyllis told us that after he left school, Les worked at Hartley's as an apprentice bicycle mechanic. He served in the Australian Army for six months in 1939 - his Army record shows Les enlisted at Bendigo and his NOK was Walter White - before transferring to the Ordinance Factory in Maribyrnong and then Bendigo where he worked until the end of the Second World War. She added that she and Les had four children. Their three sons work as engineers and surveyors, one as a consultant for a private engineering firm, another for the Picton Shire in NSW, and the third for the Bendigo Council. Les died in the Bendigo Hospice on 4 March 2003, aged 87 years. His death notice in the Herald Sun (published on 8 March 2003) tells us he was the 'Loved husband of Phyllis, loving father and father-in-law of Rhonda and Ross Elliot, Colin and Sue, Brian and Del, Royce and Carolyn. Pa to 13 grandchildren and Great Pa to 8 great grandchildren'. Phyllis Jean White nee Kent died at Bendigo on 20 May 2013. Allan John Kent (1920-2001) was living at Bendigo and working as a labourer when he enlisted in the Australian Army 'in the field' on 13 March 1943. He was discharged on 5 February 1945 while serving as a Bombardier in 'N Troop Lt A'. His sister Phyllis told us that he served the whole of his time in Australia, the last two years in Darwin. In 1946, Allan married Valda Irene Rose probably in Bendigo although that has not been confirmed. The Australian electoral rolls show that he and Valda lived in Bendigo from after the War until at least the 1980s where Allan worked as a labourer and, later on, a boilermaker. We think that Allan died in 2001 although that has also still to be confirmed. Information provided to us by Phyllis White suggests he and Valda had three children - Gary, Janis and Wendy Kent - and at least six grandchildren. Florence Beatrice Kent (1926-2014) married John Francis Burns (1924-99) at Bendigo in 1947. The son of John Hugh and Florence Ivy Burns nee Neumann, Jack served in the Australian Army between April 1943 and March 1946 by which time he was serving as a private soldier with 1 Ordnance Beach Detachment AAOC. According to Phyllis White, 'Jack Burns worked in Myers in Bendigo then took over a grocery business in Queendcliff [south of Geelong]. When they retired they bought a house at Point Lonsdale where Florence still lives'. Jack had died at Geelong in 1999. Since Phyllis' note, Florence has also died, in Geelong on 19 July 2014. Her death notice, published in the Geelong Advertiser on 21 July of that year, tells us Florence was 'survived by children Peter, Rodney, Phillip, John and Ruth'. and was 'Loved by grandchildren and great grandchildren'. At the time Florence's sister, Phyllis White, contacted us - around 2005 - the number of grandchildren of Jack and Florence numbered eight. Bruce James Kent (1929-2014) married Norma June Benzley (1930-2012) in Bendigo in 1949. They lived the rest of their lives at Golden Square in Bendigo where Bruce worked as a butcher. Norma died there in 2012 and Bruce two years later. Both are buried in the Kangaroo Flat cemetery. According to Phyllis White, they had five children - Linda June, Malcolm, John Edward, Jennifer Anne and Christine Joy kent - all of whom married and provided Bruce and Norma with at least 13 grandchildren. Lewis Albert Kent (1931-2011) married Mavis Irene Moorshead in 1954 and had four children - Julie Ann, Leonie Joy, Debra and Darren Kent - and nine grandchildren. June Grace Kent who married Roy Henry Newman in 1953 and had six children: Geoffrey Wayne, Gregory, Trevor Roy, Stephen Lesley, Karen Joy and Paul Craig Newman. Jack and Annie Kent nee Free and their family in around 1938. 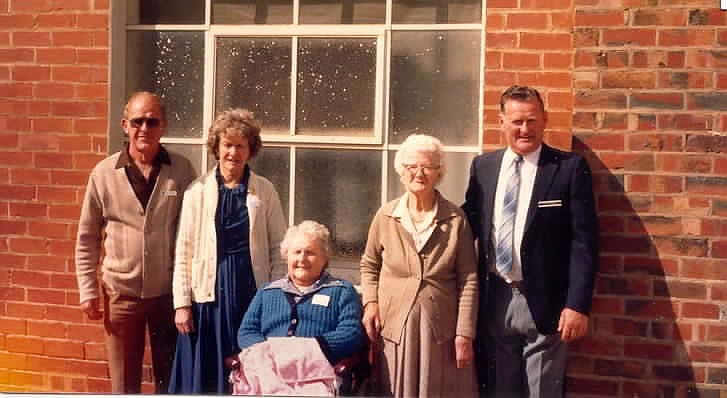 Rear Row (L/R): Edith Annnie, Jack, Annie, Phyllis Jean, Florence Beatrice and Allan John. Front row: Bruce James, June Grace and Lewis Albert Kent. The year 1916 was also a worrying time for Samuel and Fanny. The First World War, which had begun in August 1914, was dragging on well beyond initial expectations. Thousands of young Australians had already been killed or wounded at Gallipoli and in the early battles on the Western Front in Europe. In spite of the horrendous loss of life, the Labor Government headed by Billy Hughes was determined that as many more men as possible should be sent to help Britain in its fight against Germany. Following the lead set by the Prime Minister, the editor of the Donald Times warned his readers that 'Germany has longed for many years to establish herself in overseas dominions, and Australia provides one of the best opportunities for [such] German extension'. It was essential therefore, he continued, for Britain to win the war, for if it lost, Germany would certainly claim the Australian continent as part of her spoils of war. Such reasoning was always fanciful. But it was taken up by the districts' letter writers and 'war-whoopers' who intensified their pressure on those young men, such as Samuel and Albert Free, who had not yet enlisted. Like many others in the district, the boys were either in no hurry to go to the front or they were delaying their decision at least until after the latest harvest was completed. Unlike the previous year when wheat had had to be brought into the region to feed the farmers' starving stock, the 1915 harvest was a bountiful one. It was triggered by drought-breaking rains that had brought joyous crowds from their beds to watch the long awaited water again flowing down the Avoca river and over the weir at Charlton. These and follow-up rains produced some of the biggest wheat yields yet seen in the district. The Christmas of 1915, then, saw all the farmers in the Wimmera, and their sons, toiling from dawn until after dusk each day stripping, bagging and carting wheat for Australia and the Empire. Their wives, daughters and sisters were similarly labouring over hot stoves preparing meals for their menfolk, running the household and seeing the younger members of their families off to school. Even then they would find some time in the evenings to sew or crochet items for the local Red Cross society or for one of the many functions held across the district to raise money for the country's war effort. The busy harvest season was still an insufficient excuse for members of the city-based government and the 'white feather brigade' who, through various ways, questioned the loyalty and manhood of those who had still to join up. Under such pressure it was inevitable that many young men would eventually yield. They included Sam and Bert Free who enlisted in Melbourne on 24 July 1916 where, along with a number of other recruits, they swore on the Bible to 'well and truly serve our Sovereign Lord the King', 'resist His Majesty's enemies', and 'cause His Majesty's peace to be kept'. We don't know why the two brothers decided to enlist when they did. It is possible although unlikely given their ages and backgrounds that, just as Roland Leighton had done in England in 1914, they had come to see the war in largely abstract terms: as horrible yet also somehow attractive and potentially enobling; 'something whose elemental reality raises it above the reach of all cold theorising' (cited in Bishop and Bostridge, 1999: 30). They may simply have followed the example of a number of others among their friends and acquaintances - including their first cousins Roland Shepherd from Coonooer Bridge, and Don McCallum from Corack East - who had gone before them. Perhaps like so many others they saw enlistment in the AIF as a chance to travel and see England, or to escape from the hardships and monotony of outback farming. Or they may, like 'Ossie' Davey from Donald, have gone so that their younger brothers would not have to go. An ironmonger by trade, Private Henry Austin Davey was, according to the Donald Times, a man who possessed 'no instincts of war'. Although he lacked the 'physique demanded by [the] military authorities', the paper continued, Ossie decided to represent his family 'at the post of danger' because he of all of the sons was 'best fitted'. The Lalbert East Hall was not nearly large enough for the crowd that assembled last Monday night to bid adieu to Privates A. E. and S. J. Free and Adler.The Hall was tastefully decorated by the ladies of the East. The early part of the evening was taken up with social items, songs being rendered by Messrs Davison, Kirk, Hawkins, Vanderfeen and Frewin whilst Bailey, Bennet and Miss Warburton entertained the company with recitals. The accompaniments were played by Mrs Davis. Mr Adler made a capable chairman, and in a few well chosen remarks presented each of the young soldiers with a wristlet watch, shaving companion and a fountain pen. Other speakers were Messrs Nalder, Bennett, Pola, Stephens, Bailey, H. Free and Vanderfeen. After the social, supper was handed round, dancing was commenced and kept moving merrily till early morn, and was brought to a conclusion with cheers for the volunteers and the singing of Auld Lang Syne and the National Anthem. Great credit is due to Mr C. Bennett. Well mother we were paraded today and told that we are to embark at 8.45 on Friday morning at the new Port Melbourne pier on the Port Lincoln but can't say for sure when we will be clear of the heads, but I suppose I will be able to send a wire from Melbourne. Well Mother don't worry we will be back among you again before 15 months and don't forget to pray for us occasionally. We will still be on the water at Christmas they reckon, but we may be landed by new year. Just a few lines to let you know we embark on Friday, we are ready to go at a minutes notice but we will not get on the boat until Friday morning, they say [it] will be a week out side the bay before we sail. I will write before I sail so Good Bye and Good Luck until I come back. Click here to read about Sam and Bert's journey from Australia to England and thence to the charnel-house trenches of the Western Front, as well as the experiences of their loved ones at Lalbert during the period of the First World War. Sadly neither boy returned home. Bert was obliterated by shell fire at the battle of Passchendaele in 1917 and Sam died of wounds a year later near the French town of Villers Brettonneux. Their colleague, Bert Adler. whose two older brothers are pictured in the photo at the top of the page, was killed in action at Zonnebeeke in Belgium in 1917. In November 1918 came the news that the war had finally ended. This sparked enthusiastic celebrations and a sense of relief across the country with Lalbert being no exception. A school friend of the younger Frees, Frances Meehan, later recalled that upon receipt of the good tidings, the children were given the rest of the day off from school and 'roamed around the township singing patriotic songs'. A bonfire, topped with an effigy of the Kaiser filled with fireworks, was built between the hotel and the Lalbert railway station. As night fell, Sam and Bert's younger sister Hilda was given the honour of setting the fire alight. As 'the flames reached the Kaiser it exploded in a shower of sparks [and] the crowd cheered wildly'. Reg Worner's grandparents were Somerset-born Josiah Albert Worner (1823-1901) and Agnes Lawrie (183-1914). Her obituary, published in the Bendigo Advertiser on 9 May 1914, tells us Agnes was born at Eckford in Scotland and emigrated to Australia in 1854. She and Josiah were married at Bendigo the following year. They moved from Bendigo to the Western District of Victoria in 1858 and then to Tennyson, west of Rochester, in 1873 where they continued to live until their respective deaths. At the time of Agnes' death, her son John Worner was living at Mystic Park near Kerang. John's two brother's, J. L. Worner and J. A. Worner, were said to 'comprise the firm of Worner Bros., who own the old homestead [at Tennyson], and are famous throughout the state for Berkshires'. After a long life of farming and child-raising, Reg and Hilda Worner (nee Free) died and were buried at Lalbert in 1976 and 1990 respectively. 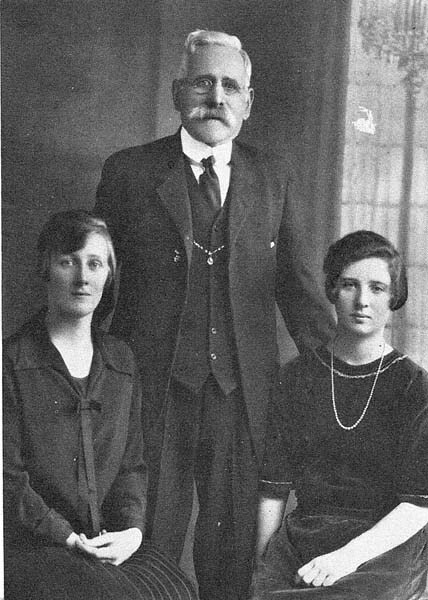 They had four children between 1919 and 1928 (pictured in the photo below). 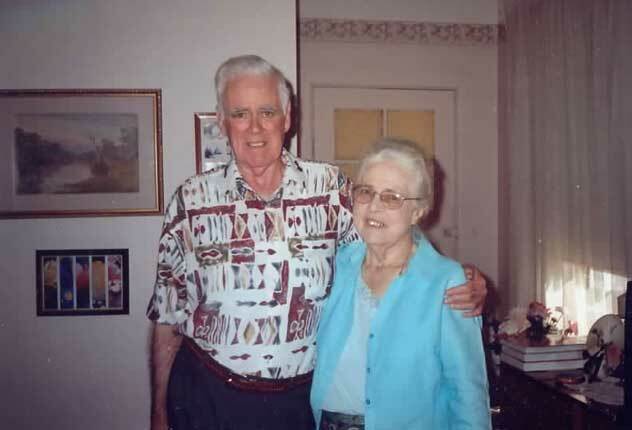 Keith Worner tells us their eldest daughter, Doris May Worner (1919-1992), was born at the home of her grandparents, Samuel and Fanny Free, at Lalbert East on 23 May 1919. He added that 'Doris never married, she was an invalid from the age of 25 years . . . and suffered from severe arthritis'. As described below, their other three children did marry and provided their beloved parents with nine grandchildren and a growing number of great grandchildren. Reginald Albert ('Bill') Worner (1921-95). The Department of Veterans Affairs' WW2 nominal roll shows that a Reginald Albert Worner enlisted in the Australian Army at Lalbert on 20 July 1942. Although born at Lalbert, his given place of residence was the Melbourne suburb of Rowville and his NOK was said to be John Worner which could indicate he was not our Bill. He was discharged on 2 January 1946 while serving as a Corporal in the 4 AUST ARMD BDE. In 1944 Bill had married Noela Beatrice Nobbs (1923-2014) at Coolangatta in Queensland. 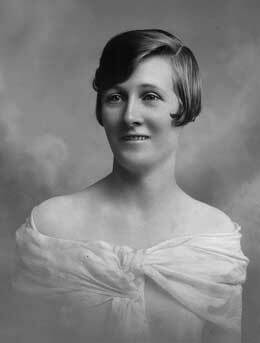 Noela was the youngest daughter of Englishman James Ringer Nobbs (1890-1965) and Annie Hilda Ruth Barton (1890-1943) who were married on the Isle of Wight in 1911 and emigrated to Australia the following year. According to her obituary, published in the Tweed Daily on 23 August 1943, Annie and James initially 'resided at Lismore for about 15 years and subsequently lived at Cobacki Road, Tweed Heads for a further seven years, before removing to Tugun'. They had six children in all, Noela, (born at Lismore in 1923) plus Robert, Charles and Edwin Nobbs and 'Mesdames N. Nuendorf (Cobacki) and N. Thompson (Palm Beach). The Australian electoral rolls show Bill, then working as a labourer, and Noela living at Elanora at Southport in Queensland in 1949 before moving to Cobacki sometime before 1954 (where Bill worked as a farmer). By the time of the 1977 election, they had moved from Cobacki into Tweed Heads where Bill was working as a Taxi Proprietor. Bill died in 1995 either at Tweed Heads or Queensland's Gold Coast where Noela died in 2014. Her funeral notice published in the Gold Coast Bulletin tells us Noela was the 'Beloved Wife of Bill (dec'd). Much loved Mother of Rosalyn, Lorraine (dec'd) and Debbie. Adored Grandma of Christine, Steve, Katie, Glen and Murray. Great-Grandmother of Kyle, Tahlia, Riley, Sophie and Blake'. Hilda Grace Worner (1923-2016) married Robert James ('Bob') Walker (1921-83) at Swan Hill on 7 September 1946. Although still to be confirmed, we think Bob may have served in the RAAF from 31 January 1942 until 24 August 1944. 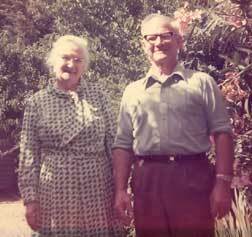 After their marriage he and Hilda lived at St Arnaud where Bob worked as a farmer and, from 1954, a storeman. They both died at St Anrnaus, Bob in 1983 and Hilda in 2016. Her death notice in the Herald Sun tells us Hilda was then 93 years old, the loved wife of Bob (dec), much loved mother of Harvey and Lynette, and fond mother-in-law of Liz and Bernie (Torney)'. 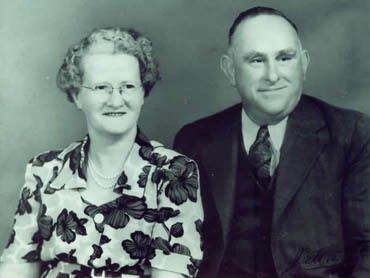 Keith James Worner who married Wilma Jean Glatz at Quambatook on 8 April 1950. Wilma is the youngest daughter of Carl August Hermann Glatz (1874-1944) and Martha Stewart Thompson (1886-1978) who were married in Victoria in 1906 and had eight children, two in South Australia and six in Victoria, before Wilma's birth at Quambatook in 1928. The 'Glatz Family Tree' on Ancestry tells us that Wilma's paternal grandfather was Ernst Wilhelm Glatz (1844-1923) who was born at Bautzen in Saxe in Germany and emigrated to South Australia where he married Eleonore Lehman (1849-1933) at Lights Pass in the Barossa Valley in 1873. Eleonore had been born at Muschten in Brandenburg in Germany. Wilma's mother, Martha Stewart Thompson was born at Ballarat, the eldest daughter of an Irishman, James Thompson (1898-1940) and Henriette Castle (1898-1942) who came from Bethnal Green in London. As described above, Keith and Wilma lived initially opposite the Talgitcha School. In 1982 they moved onto a 1200-acre block of land they had purchased from George Arthur Free, the son of James Oswald and Emma Elizabeth Free (nee Oliver) and grandson of James Oswald and Johanna Free (nee Shepherd). The farm is now owned by Keith and Wilma's oldest son John Maxwell Worner and his wife Robyn. They have three other children: Judith Fay Worner who married Terrance John Delmenico, Gary James Worner who married Debbie Semple and Ian Geoffrey ('Barney') Worner who married Tracey Feeley and are the present owners of the farm first owned by Barney's grandparents Reg and Hilda Worner nee Free. Provided by Keith Worner, this photo is of Hilda Flavell Worner nee Free and her four children. Hilda Flavell Worner nee Free and Keith James Worner. The Great War may have ended but, like hundreds of thousands of others across the country, Samuel and Fanny and their family would, for the rest of their lives, have to contend with its aftermath and ghostly shadows. Although told by the Army that photographs of their loved ones were being 'taken as soon as possible' and 'will be transmitted to next-of-kin when available', no photographs of Sam arrived at Lalbert until March 1920. When they did arrive they showed the grave to be that of Bert, whose body was never found, rather than Sam. This was eventually rectified and a series of new photographs were finally sent to the family on 25 August 1921, more than three years after Sam's death. In the interim, the family received, on 15 March 1919, a package containing the effects of 'the late No. 415B Private S. J. Free, 3rd MG Btn'. This contained a wallet, a safety razor, an electric torch, a metal cigarette case, a handkerchief and some photos and postcards. The latter included one sent from Lalbert in October 1917 by Agnes and Alice Hasty promising him a letter in the next mail. Another was a Christmas card sent from East St Kilda and containing a single first-class ticket to Australia on which Molly, the card's author, had written 'don't be long before you use this'. A third card appeared to have been sent from England possibly from someone Sam had befriended while training on the Salisbury Plain. Signed by Sam's 'loving little friend Curly' the card stated that 'Mother had a letter from you on Monday and in it was that card you sent me. You sent me one before but still it does not matter as mother would like to have one for herself. I am looking forward to you getting leave and coming to stay with us ... We have had a lot of snow this week and last'. In the years following the receipt of Sam's effects, the family received for each boy the British War Medal and the Victory Medal (April 1921), a pamphlet on 'Where Australians rest' (19 May 1921), a memorial plaque bearing the inscription 'he died for freedom and honour', and a memorial scroll (November and December 1921). The arrival of each item would have triggered afresh the memories of the two boys and the sense of loss their deaths in war engendered. Worse still for the family was the anxiety and depression suffered by Samuel and Fanny's fourth son, Clifford Free (1899-1937). 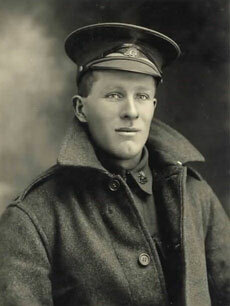 According to Irene Gread, even though he was only 17, Clifford was desperate to follow his older brothers' examples and enlist in the First AIF. It seems he even went into camp probably as part of Billy Hughes' national call-up prior to the conduct of the 1916 conscription referendum (at the time the government could call-up its citizens for the military defence of Australia itself but was prevented by law from sending them overseas). The referendum that would have given the government power to compel Australia's young men to serve on the Western Front was defeated and most of those called-up had to be released. In any case Samuel, who had been told by Sam and Bert not to let any of the younger ones go to the war, refused to allow his son to enlist. Clifford was devastated and haunted, no doubt, by feelings of guilt over the deaths of his older brothers, withdrew into himself. He never recovered prompting his father later to say that it would have been better for him to have been killed by a bullet on the Western Front. 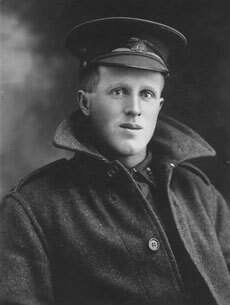 Clifford Free was eventually incarcerated in the asylum at Beechworth where he died in 1937, a further and no less heart-rending victim of that dreadful conflict. As they did during the war, Sam and Fanny continued to look after and out for their other children as well as the growing number of grandchildren these were providing for their beloved parents to delight in and spoil. The sadness caused by the death of their 14 year-old youngest son, Donald Free (1908-23), at Lalbert in 1923, may have been at least partly offset by the marriage of Don's older brother, Leslie ('Les') Free (1902-68) to Essie May Chambers (1898-1978) at Albury's Seventh Day Adventist Church on 18 March 1925. 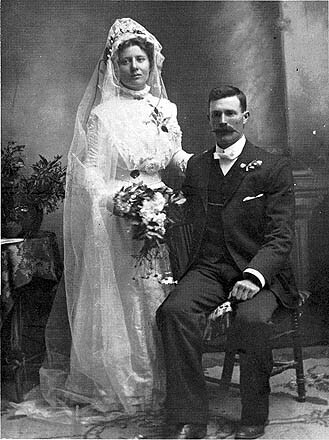 As shown in their wedding photo below, Essie was 'attired in a dress of white brocaded marocain'. A report in the local newspaper tells us she was 'attended by her sister, Miss Emma Chambers, as bridesmaid. Mr George Chambers, brother of the bride, was best man' (Albury Banner and Wodonga Express, 20 March 1920). According to the 'Chambers Family Tree' on Ancestry Essie's grandfather was George Washington Chambers (1824-83) who was born in Virginia in the United States and died at Talgarno in Victoria where he had married an Irish woman, Elizabeth Stuart or Stewart (1830-96). Emma's parents were Robert Chambers (1869-1953) and Emma Mary Doubleday (1870-1935) who were married in the Melbourne suburb of Brunswick in 1898 and had six children in addition to Essie: Emma Elizabeth, George Washington III, Robert Stewart, Annie Irene, James Harold and Roy Alan Chambers. The 'Doubleday Family Tree' on Ancestry tells us that Emma's grandfather, Bligh Doubleday, was transported from Norfolk to New South Wales in 1829. He married Mary Dowdy (1809-33) in the Cumberland Shire of NSW in 1833 and lived and worked around the Bungonia region until his pardon in 1847. The family then pioneered land at Albury where Bligh later served as one of the first aldermen of the local Borough Council. Emma's father, George Doubleday, and his brother Robert, either owned or leased Bungil Station in the Upper Murray region. The Australian electoral rolls show that, after their marriage, Les and Essie lived and worked on the Free family farm at Lalbert until just after Samuel's death there in 1938. They then lived in Albury where Les worked as a labourer. He died at Albury in 1968. Essie, who appears to have spent the last few years of her life at Bondi in Sydney's eastern suburbs, died in the Parramatta District Hospital in 1978. We understand her body was brought back to Albury where she was buried with Les in the North Albury Cemetery. Les and Essie had five children all born at Quambatook: Leslie Robert, Roy Alan, Murray Albert, Joyce May and Keith James Free. As described below, these all married and provided their parents with at least 15 grandchildren and 16 great grandchildren we know of. Leslie Robert Free (1926-2016) married Margaret June Minette Rutherford (1925-81) in 1953. We believe that June's parents were Herbert Arthur Embleton Rutherford (1895-1951) and Mabel Weeks (1894-1981) who were married in Victoria in 1921. Herbert was educated at the Christ Church Grammar School in the Melbourne suburb of South Yarra, where he grew up, and then at the University of Melbourne. The British Army lists of colonial force officers show he was a Lieutenant in the AASC in 1916 and 1917. This is confirmed by his military record in the Australian National Archives which shows he served as a subaltern and later a Captain in the Australian 2nd Divisional Train. An accountant by profession, he enlisted in the First AIF on 30 September 1915 and sailed from Australia two months later. He disembarked in Egypt and then went to England and then France where he served until June 1919. Herbert returned to Australia on the SS ASCANIA in September 1919 and was discharged from the Army on 20 January 1920. The Australian electoral rolls show that Les, who worked as a television engineer, and June lived in Sydney after their marriage, initially at Willoughby and later Lindfield. The Ryerson Index shows Margaret June Minette Free, 56 and 'late of Lindfield', died on 22 December 1981. We know that Les re-married but don't know the details beyond his second wife's christian name: Joanne. Leslie Robert Free died in Sydney in February 2016. His death notice published in the Sydney Morning Herald on 25th of February, tells us he was the 'much loved husband of Joanne and June (dec), father to Jonathon, Derek, Andrew, Miranda and Michael. Father-in-law to Sharon, Steven and Jill. Proud Grandad to Samuel, Laura, Emma, Katlyn, Luke, Jasper, Vincent, Naomi and Alex'. Roy Alan free (1928-2014). Born at Quambatook in 1928, Roy attended Albury High and, from 1946, the Australian Forestry School (AFS) at Yarralumla in Canberra (then run by the University of Sydney from which he obtained a Bachelor of Science and a Diploma of Forestry). In 1950 he married Gwendolyn May Reidy, daughter of Hosley Clifton Reidy (1906-80) and a Scotswoman, Lillian Stewart (1909-89), who were married in Queensland in 1926 and had four children in addition to Gwen: Les, Nancy, Val and Rose Reidy. Following a year-long secondment at the AFS, Roy worked as a forester at Batlow and then Tumut before, in 1969, being transferred to the NSW Forestry Commission's head office in Sydney. In his time at the Commission Roy served as the District Forester in charge of pine plantations, Chief Forest Inspector, Deputy Chief of the Forest Operations Division and, from October 1980 until his retirement in September 1988, Assistant Commissioner for Forests. His obituary, published in the Forester in 2002, tells us that during his working life Roy also served on a number of departmental advisory and consulting bodies, was the government's nominee on the board of Sawmillers Exports Proprietary Limited, and was a member of the New South Wales Bushfire Council and its coordinating committee. He also served for 16 years on the committee of the Forestry Field Officers Association, a vocational branch within the New South Wales Public Service Association committed to improving the industrial welfare of its members. After his retirement Roy was appointed by the Minister as Chair of the New South Wales Timber Advisory Council. In 2001 he was awarded the Institute of Foresters of Australia's N. W. Jolly Medal for outstanding service to the profession of forestry. A Life Member and Fellow of the Institute, Roy was also the chair of the IFA NSW Division and its National President from 1979 to 1981. According to his obituary Roy enjoyed socialising with his colleagues and workmates when he would tell 'many a good story about his time around Tumut and Batlow'. One of these concerned 'the construction of the wooden chapel at the now defunct afforestation prison farm at Laurel Hill. With Roy's ingenuity, assistance from Kopsen's sawmill, prison officers, and inmates, a handsome A-frame building was constructed. When the camp closed down years later the chapel was moved to Tumbarumba where, with additions, it is now the Shire Library'. While in Sydney Roy and Gwen and their three children - Alan Leslie, Rae Alison and Brian Clifton Free - lived at Dundas and later North Rocks. Sometime after Roy's retirement, he and Gwen moved to Ulladulla on the NSW south coast where Roy 'passed away peacefully on 10 April 2014 at Milton Ulladulla Hospital aged 86 years . . . Much loved husband of Gwendolyn. Loved father and father-in-law of Alan and Toula, Rae and Richard, Brian and Vicky. Much loved grandfather and great-grandfather of his grandchildren' (Sydney Morning Herald, 12 April 2014). Murray Albert Free (1930-2009) taught mathematics at Albury Grammar and the Scots School Albury. In 1953 he married Jean Barbara Smithenbecker (1929-2005). We know that Jean attended Albury's St Joseph High School and worked as a telephonist for the Post Master General's Department in Albury from 1949 until 1954. Although we have yet to determine her exact lineage, it would seem more than likely she is a descendant of John Smithenbecker (1855-1933) and Barbara Diedrich (1861-1924) who were married at Albury in 1880 and spent some time mining in the nearby Black Range before running the Ivy Hotel at Bowna. 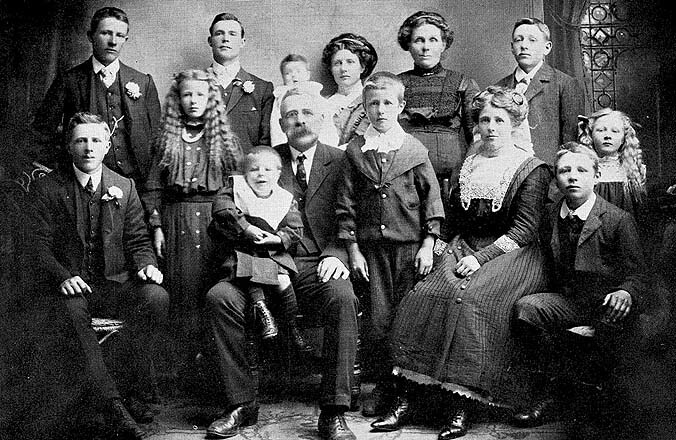 According to the 'Easton Family Tree' on Ancestry they had ten children in all: Henry, John Peter, Mary Margaret, James Edward, Catherine Frances, Frederick Herbert, George Edward, William Conrad, Margaret Jean and Eileen Smithenbecker. 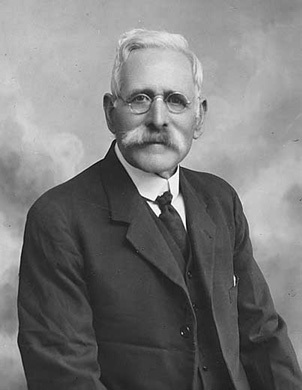 His obituary published in The Corowa Free Press on 5 April 1935, tells us that John Peter Smithenbecker, who was probably Jean's uncle, served several terms as an alderman of the Albury Municipal Council and one year, 1921, as the town's mayor. The Australian electoral rolls show that Murray and Jean lived all their lives in Albury, Murray dying there in 2009 and Jean in 2005. The rolls further indicate they had at least three children: Susan, Virginia and Anthony John Free. Joyce May ('Joy') Free (1932-2018). Joy attended Albury High School and, like some of her brothers, trained to be a teacher. She married John Nathaniel Haberfield at Albury in 1955. John's parents were John Frederick ('Jock') Haberfield and Annie Ellen Gray (1911-89) who were married at Albury in 1932. As described in a book commissioned by the family, Haberfields: A Family Dairy Tradition, both Jock and Annie came from dairy farming families. The year before they married they bought a small milk delivery business which, over the ensuing years, they built into a major, multi-million dollar company that produces as well as distributes a range of dairy products and services. The book also tells us that Jock and Annie had four boys and two girls - John Nathaniel (born in 1932), Ronald Leslie (1937), Gwendolyn Rose (1938-2007), Lawrence James ('Laurie') born in 1942, Judith Anne ('Judy') born in 1944, and Bruce Robert Haberfield (1949-2012) - where three of the boys, John, Ron and Laurie, worked in the family business. John Haberfield also went to Albury High and, before joining the family business, spent two years at the Hawkesbury Agricultural College. The remainder of his working life was spent at Haberfield's Dairy where he worked as a cheesemaker, foreman, manager and, after his father's death in 1994, Managing Director. Joy returned to Albury High School after her marriage and taught mathematics there for some 30 years as well as hold several executive staff positions. Her and John's son, John Leslie Haberfield, has worked for Haberfield's since 1972. Their other children are Dr Chris Haberfield, currently an adjunct research associate in the Department of Civil Engineering at Monash University, and Vicki Kuruvita, who studied architecture in Sydney and currently lives in Launceston with her husband Philip, who is a professional photographer, and their family. Her obituary, published in the Border Mail on 16 February 2018, tells us that Joy passed away on the 14th February 2018 at home aged 85 years. She was the 'Loved wife of John, loved mother of John, Chris and Vicki, mother-in-law to Debbie and Phil. Adored Nana Joy to Nicole, Tracey, Justin, James, Lauren, Samantha and Laura. And great Nana to Jayden, Ryan and Isabel'. Keith James Free. Also a teacher by profession, Keith was teaching in Sydney when he met and married Czechoslavakian-born Renee Gaby Hammond. The Australian National Archives show that Walter Hammond, a businessman born at Sumburk in Czechoslavakia in 1908, was granted Australian citizenship on 16 December 1946. He was then living at Rose Bay in Sydney with his wife Ilse Hammond nee Stein, who he had married in Czechoslovakia in 1931, and daughter Renee Gaby Hammond (born in 1936). Walter and Ilse were divorced in 1950 and Ilse re-married in 1962. The Australian electoral rolls show that Keith, a teacher, and Renee, who was working as a library assistant, were living at Blacktown in Sydney in 1958. It seems they then spent some time overseas, initially in England where, in 1961, Renee obtained a post-graduate diploma in the history of art from London University's Courtauld Institute, and later in Italy. On return to Australia they lived in Sydney's Neutral Bay until at least the early 1980s. Keith continued to teach while Renee joined the Art Gallery of New South Wales (AGNSW) as an assistant curator. In her time at the AGNSW, Renee wrote or co-authored a number of books, catalogues and essays on the Australian artists Frank Hinder, Lloyd Rees, James Gleeson and Tony Tuckson as well as on the Gallery's European collection. She retired as AGNSW's Senior Curator of European Art in 1996. Although still to be confirmed, we believe Keith and Renee had at least one son, Michael Laughton Free, who works as a medical practitioner and researcher. at Albury on 18 March 1925. 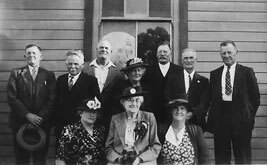 Towards the Christmas of 1926 the Hickmotts at Ouyen received word that Frances' mother, Fanny Johanna Free, was seriously ill and that she wished to see her eldest daughter and her children once more before she died. Bill and Frances immediately packed their ten children, a change of clothes and a small supply of food and water into their buggy and set off on the 110-mile journey to Lalbert. The trip, in the mid-summer heat, was a slow and uncomfortable one for the children especially. It would take three days in all with the family spending the first night at their friends, the Olivers, at Cocamba and the second with Frances' younger sister Annie and her husband Jack Kent at their farm at Meatian. Frances reached Lalbert in time to see her beloved mother before the latter died, on 23 January 1927, from complications arising from a recent heart attack. She was just 62 years of age. After the funeral, the family returned by buggy to Ouyen, Frances carrying with her the photos and other treasured mementoes her mother had kept of the two young sons and brothers who had been killed in the Great War. 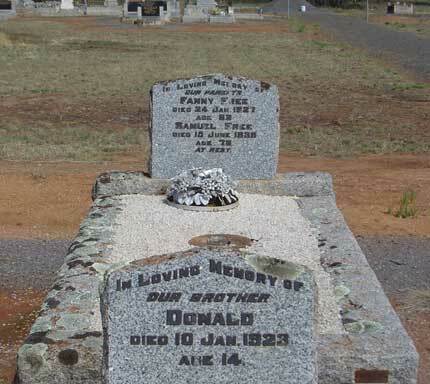 Fanny was buried in the Lalbert Cemetery with her son Donald Free who had died at Lalbert four years earlier. The family published the following death notice in the Melbourne Argus on 29 January 1927: 'FREE - At the 23rd January at the Quambatook private hospital, Fanny, dearly loved wife of Samuel Free, and loving mother of Frances (Mrs Hickmott), Sam (killed in action), Bert (killed in action), Annie (Mrs Kent), Edward, Cliff, Hilda (Mrs Worner), Leslie, Jean and Donald (deceased), aged 62 years, interred in the Lalbert Cemetery, January 24, 1927. So sadly missed'. The following year they published the following 'En Memorium' notice in the same newspaper: 'FREE - In loving memory of our dear mother who passed away on January 23 1927, late of Lalbert. "Oh for the touch of a vanished hand/ And the sound of a voice that is gone." Inserted by her loving son and daughter Ted and Jean. "Memory every day", inserted by her loving husband S. Free and children, Lalbert (Melbourne Argus, 23 January 1928). After his wife's unexpected death, Sam continued to live and work on his farm where he was helped by his younger sons and, until her marriage to Alexander Norman Anderson in 1929, his youngest daughter Mary Jean Free (see below). As reported in the Melbourne Argus on 20 February 1933, the farm, and Samuel's livelihood, were threaded by a grass fire which broke out on an adjoining property and burnt some 600 acres of stubble and a shed before moving into Samuel's property as well as those belonging to his son-in-law, Reg Worner, and neighbour and long-time friend, Bert Bennett. 'At 10 o'clock', the report continued, 'the firebell was rung and again at 11 o'clock, and a large crowd left [Lalbert] to assist. The fire was burning on a front of a mile, and travelled six miles before it was stopped'. Samuel Free, aged 78 years, died on 15 June 1938 and was buried with Fanny and Donald in the Lalbert Cemetery. Probate from his will was granted to his brother James Oswald Free and son Edward Charles ('Ted') Free (1896-1971). Ted, who took over the running of the farm, later sold it to his cousin Alan Joseph Free (son of James Oswald). Ted later moved to Ballarat where he died in 1971. While some in the family think Ted may have married a Bessie Campbell (1902-81) in Melbourne in 1920, we think this was another Edward Charles Free and our Ted died a bachelor. Two years after her mother's death and ten years before her father's, Samuel and Fanny's youngest daughter, Mary Jean Free (pictured below on the left), married Alexander Norman Anderson at Swan Hill. Although still to be confirmed, we think Norman's parents were Walter Hunter Anderson (1875-1956) and Margaret McNaughton (1882-1956) who were married in Victoria in 1906, and that Norman served in the Australian Army during the Second World War (enlisted at Swan Hill on 3 January 1942 and was discharged on 12 April 1945). Jean and Norman lived at Swan Hill for much of their married lives and had three children: Irene Gread (nee Anderson) who lives at Swan Hill with her husband John (see the photo below); Ian Anderson who married Doreen Moser; and Jean Margaret Anderson who married Selwyn Albert ('Peter') Schulz in Bendigo in 1955. Their daughter, Kellie Carlo (nee Anderson) tells us that Jean and Peter are retired and live on their farm at Pental Island near Swan Hill. Peter was the blacksmith at the Pioneer Settlement at Swan Hill for 23 years and Jean leased the General Store there for ten years before retiring to enjoy hobby farming, travelling and her grandchildren. They have two other children in addition to Kellie - Grant Shulz and Peta Raudino (nee Schulz who lives with her husband and family in Western Australia) and four grandchildren. second daughter of William and Frances Hickmott nee Free. The photo on the left is of Mary Jean Anderson (nee Free) and her husband Norman. 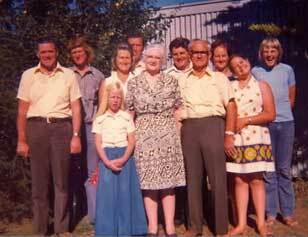 The one on the right is of the old couple and their family taken at Swan Hill in 1974. Peter Shulz, Ian Anderson, Doreen Anderson (nee Moser) and Peter Anderson. Norman Anderson and Carolyn Anderson. 'Samuel Free', 'Samuel and Fanny Free and family, 1911', 'The Kent and Hickmott families', 'Albert Ernest Free', 'Leslie Free', 'Mary Jean Free', 'Graves of Fanny and Samuel and Donald Free' and 'Grave of James and Johanna Free', private collection. Squatter's camp and Settler's house, courtesy of the Australian National Library. 'Lalbert Primary School 1894' and 'James Hasty 1914' from Jan and Janine Power, Lalbert Reflections (Red Cliffs Victoria: The Sunnyland Press, 1983). 'Frances Elliott and former pupils' and 'James and Johanna Free and family', from Win Noblet, The Hickmott Story: 1825-1981 (Bendigo: Cambridge Press, 1981). 'Samuel John Free' and 'John and Irene Gread (nee Free) at Swan Hill', courtesy of Irene Gread. 'John Reginald (Reg) and Hilda Worner (nee Free)', courtesy of Keith and Wilma Worner. 'Kent family', courtesy of Phyllis White (nee Kent).